Florrie is a much loved 2 year old Cavapoo (Cavalier King Charles Spaniel x Poodle) She was a tiny bundle of mischief from day one, a happy little miss who loves everyone and everything. 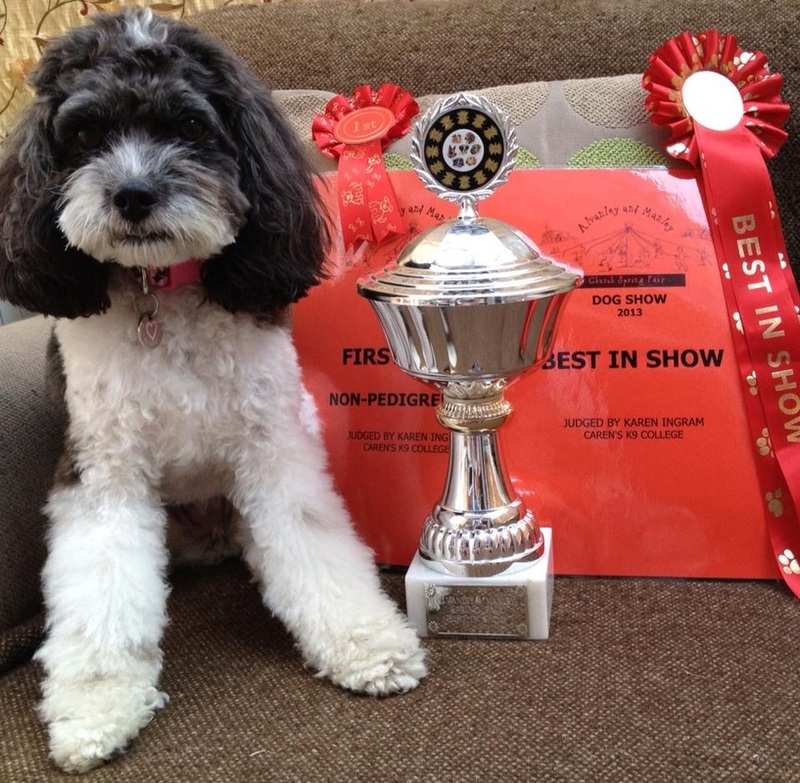 After finding a lovely training school, Caren's K9 College ran by Karen Ingram, Florrie went through Puppy School & Puppy University & then went on to do the Kennel Club Good Citizen Award Scheme. She did her bronze & silver in 2010 and finally passed gold a few months ago....a two minute stay lying down proved the challenge, as being still isn't a favourite part of Florrie world! When she was 7 months old, there was the chance to try puppy agility classes. She took to it straight away and 18 months on, is a member of Sutton Weavers Agility Club, which is run by Karen. She has been doing really well in club competitions, with some first places, as well as taking part in agility displays with the club, at various local shows through the summer. Hopefully, next year she will do some agility competitions. Florrie also loved helping out the North West Dog Carting Club, by being their little passenger. She also passed the assessment to be a Pets As Therapy dog and will hopefully start this in the near future. Well done to Florrie who won Best Crossbreed and Best in show.